If you are finding it hard to design the playground of your community, here is something for you. The right plan is all that is required to create a fun-filled playground. Before you put your thoughts into action, here are certain things that you should think upon. It has become mandatory to make a playground in adherence with American with Disabilities Act (ADA) Standards. Therefore, you must form the layout of your playground in a way that people with special abilities can enter in the premises without facing any problem. The next thing you should think about is the play sets you are going to install in your playground. Decide how much you want to spend on them and start searching for the sets and play houses that are a hit in the playground. You can buy these either from the playground equipment store or order online. 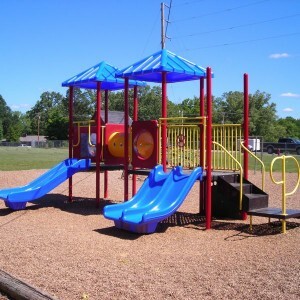 Whatever option you choose, make sure you deal with an IPEMA certified manufacturer who constructs play sets using commercial grade raw materials. Whether you are buying a playground swing, slide or play house, ensure that he manufactures the play sets in adherence with American Society for Testing and Materials (ASTM) and Consumer Product Safety Commission (CPSC). Play sets are designed as per the age brackets of kids. It would be wise if you label the equipment in your park to avoid the risk of injury to kids. For labeling the equipment you can use fences and signage so that guardians can understand which play set is appropriate for their kids.